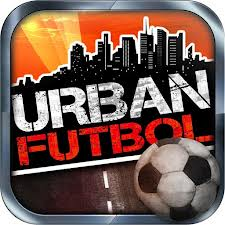 This free iOS and Android game allows players to engage in Urban Futbol which is basically street soccer. 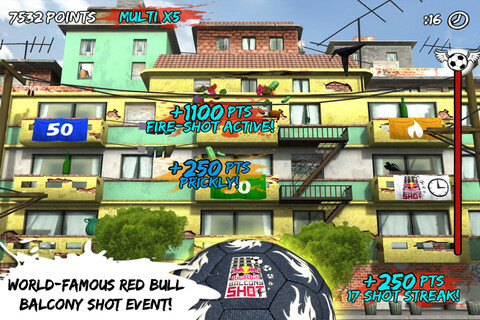 However unlike street soccer, Urban Futbol on the iOS is more a game of skill which requires the player to kick a soccer on a specific target. The faster you shoot and provided you are accurate, the more points you are awarded. Also the higher you shoot (e.g. higher balconies), the more points you get. There are also multipliers and other elements of skill needed to succeed. 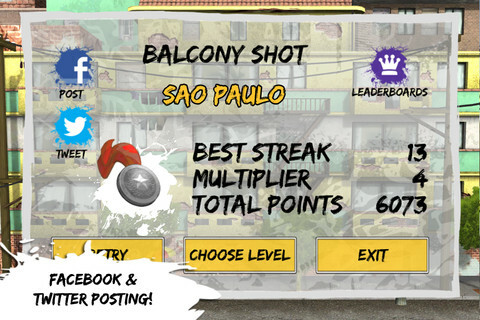 The objective is quite easy, you simply swipe the soccer ball towards the intended balcony to score the points. To compound the situation, you have a timer and a high score which allows for additional replay value which can be tweeted or put on Facebook. There are also five destinations available to play that include Sao Paulo, Porto, Taormina, Tokyo and Cape Town. Graphically, the game looks pretty good on the iOS. Unfortunately the soundtrack definitely gets on your nerves though but hey... it's free right? Sadly Urban Futbol only features one game mode which is Balcony Shot, however the developers will add "Street Style" in a future upgrade. Add in online leader boards and 18 unlockable achievements and this is a fun little game to kill a few minutes while you wait.